On Sunday, 31 GoodGym runners psyched themselves up to tackle what turned out to be the hottest London Marathon in history - hitting highs of 24 degrees. This is the final article in our series exploring how GoodGym runners made their marathon training count - helping friends, family and neighbours in their community along the way. I accidentally got a ballot place. My friend ran it last year and then posted on Facebook that she’d entered the ballot. So out of pure fomo, I also entered (without actually really wanting a place). Turned out I got one and then had to run it! I accidentally got a ballot place! Coincidentally, the sponsored charity, Teenage Cancer Trust, is a charity I was fundraising for last year. Every year I cut my hair and donate money to a different charity that helps people with cancer - so I just carried on fundraising for them. It was nice knowing I didn’t need to worry about a target since I had already hit the target I’d set myself previously. Every week I’ve been running on a GoodGym group run, then running a little extra to make it up to 10km. One week we visited St John’s Waterloo to drop off some items for the food collection they do for homeless people. On another run we also handed out flyers to let homeless people know about a lunch at King’s College. There were another couple of running groups who really helped me push on with my training too. The weekly sprint training at Nuffield and longer runs on Sunday with City Runner. Then on my two rest days I stretched out with some yoga. I also ran on two of the GoodGym x New Balance training runs which helped me work on my pacing and endurance. On the second run, we ran 18km with Sarah at our race pace and helped out at Royal Hill community gardens in Greenwich. It was ridiculously hot - but seeing my friends en route was a real high. Plus some of my friends made posters, such sweethearts! I was periodically checking my phone while running and took a couple of selfies for my friends who were tracking my live location on WhatsApp. Actually just finishing it feels like such a big achievement. I aimed for under 4 hours but I hadn’t trained in this absolute heatwave so I ended up not being able to do as well. I may have to do another marathon to get under the 4 hour mark! Looking for a new reason to run? 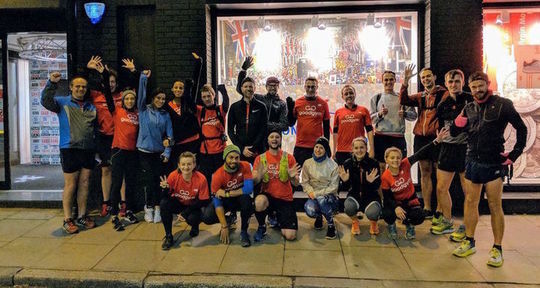 Join a GoodGym group run near you. Each week we head out on a run together and stop off to help an organisation with a physical task. 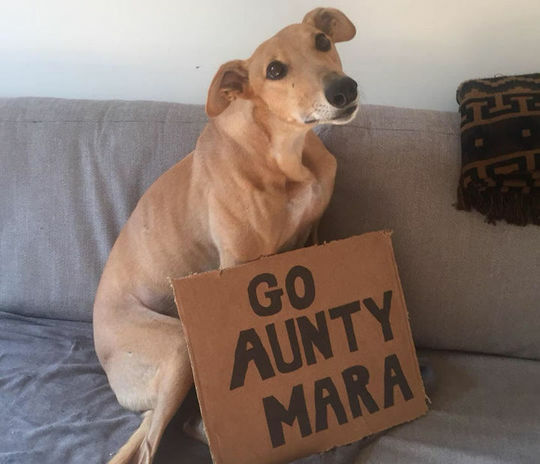 Looking for more marathons? Join the GoodGym race team and run together! To help runners prepare for this year's London Marathon, we teamed up with our sponsors New Balance to run a series of special training sessions. Over four runs we covered everything from pacing to the mental preparation required to push through 26.2 miles. We stopped off during each run to help a community organisation in each of the four boroughs that the marathon route passes through. You can catch up with some of the action here. If you're thinking of upgrading your running kit, head over to the New Balance store. GoodGym Members get 20% of everything online - find out how to join us here.